4-leg component support systems allows infinite access in back. 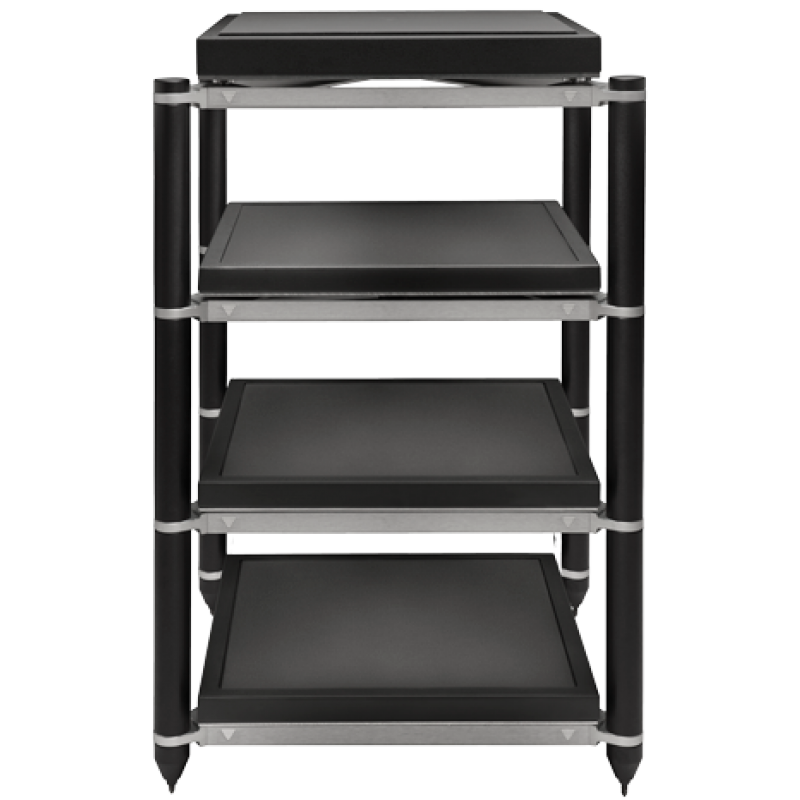 The QXK is available in single component (amplifier), vertical rack configurations, and side-by-side configurations for multi-component systems. Custom vertical spacing is made at no additional charge. 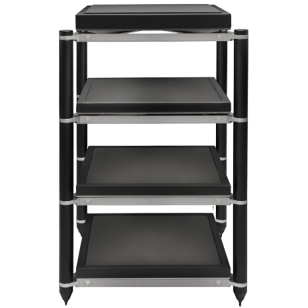 Rack architecture allows fully adjustable leveling and is finished in clear anodized or black anodized. Combine the QXK with your choice of out Interchangeable filter systems and shelves. Standard width is 26”. Standard depth is 21.5” with a filter system installed.  QXK architecture is high purity (96% to 99%), solutionized, stress-relieved stretched and artificially aged aluminum alloy – 10 X 106 psi (69 GPA), with a thin rod speed of approximately 5,014 m/s.  Vertical legs, column caps, feet and horizontal supports are high purity (96% to 99%), solutionized, stress-relieved stretched and artificially aged aluminum alloy – 10 X 106 psi (69 GPA), with a thin rod speed of approximately 5,014 m/s.  Spikes and connectors are high purity (99%) titanium alloy – 15 X 106 psi (105 GPA), with a thin rod speed of approximately 5,090 m/s. Fixed balls interfacing to filter systems are sintered tungsten carbide – 98 X 106 psi (550 GPA), with a thin rod speed of approximately 6,220 m/s.